Tumescent liposuction designates a form of liposuction that uses tumescent local anesthesia. 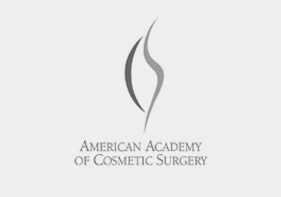 The tumescent technique for liposuction totally by local anesthesia has eliminated the greatest dangers associated with the older forms of liposuction. What are Elastic Compression Garments? Elastic compression garments (specially designed girdles) were intended 1) to reduce bleeding immediately after surgery and 2) to reduce swelling the time that the body is healing. Tumescent liposuction has eliminated surgical bleeding. Most surgeons require that patients wear an elastic compression garment for a certain length of time after liposuction. The fee for liposuction usually depends on how many areas are treated by liposuction. 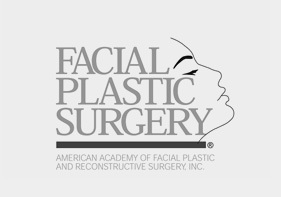 When only one area is treated by liposuction the fee is less than when multiple areas are treated. Am I A Good Candidate for Liposuction Surgery? A good candidate for liposuction is defined as any person who has realistic expectations, is in good health and is likely to be happy with the results of liposuction. Although liposuction can often provide very substantial improvements, it is rare for liposuction results to be absolutely perfect. Realistic Expectations of My Liposuction Surgery? After liposuction, the new body’s shape is more or less permanent. If a patient does gain a moderate amount of weight after liposuction, then the figure will simply be a larger version of the new body shape. Fat cells that are removed by liposuction do not grow back. Which Body Areas can be treated by Liposuction? The most frequently treated areas for women are the abdomen, breasts, hips, outer thighs, anterior thighs, inner thighs, knees, arms, buttocks, cheeks and neck. 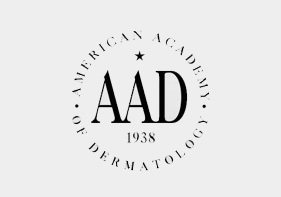 In men, who comprise about 15% to 25% of liposuction patients, the most commonly treated areas include the chin and neck area, abdomen, flanks (“love-handles”), and breasts. What are the Complications and Risks of Liposuction Surgery? The most dangerous aspect of liposuction is an attitude that ignores the risk of doing too much liposuction on a single day, or disregards the risks of doing multiple unrelated surgical procedures on the same day that liposuction surgery is performed. As judged by current worldwide experience, liposuction is amazingly safe. Rare problems that can potentially occur with any surgical procedure include infections, bleeding, skin ulcerations, and nerve injury. What Questions Should I Ask before Choosing A Liposuction Surgeon? What kind of Qualifications should a Liposuction Surgeon have? What are the Important Characteristics of a Safe Surgical Facility? Liposuction can be performed in a doctor’s office, in an outpatient surgery center, or in a hospital. 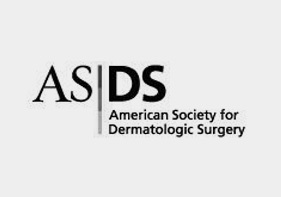 A safe surgical facility for liposuction must be able to minimize the risks of surgical infections. Surgeries should be done in operating rooms that maintain high standards for cleanliness. What is the safest form of liposuction? What is a liposuction cannula? Tumescent liposuction totally by local anesthesia is the safest form of liposuction. Liposuction using general anesthesia or heavy IV sedation is somewhat less safe than liposuction totally by local anesthesia. Microcannulas permit smoother results after liposuction. A liposuction cannula is a small stainless steel tube that is inserted through an incision in the skin and removes subcutaneous fat. 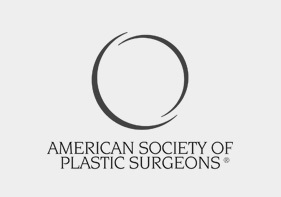 How long is the Liposuction Surgery Post-Op and Recovery time? When liposuction is done totally by local anesthesia, patients can usually depart from the surgical facility within 30 minutes of the completion of surgery. When general anesthesia is employed, then patients usually require one to three hours of post-anesthesia observation before being discharged home. Most patients can return to a desk-type job with two days after tumescent liposuction. Because of the significant decrease in swelling, inflammation and pain after tumescent liposuction, patients are able to return to normal physical activities very soon after tumescent liposuction. Is there Pain or Discomfort after Liposuction Surgery? During the two days immediately after liposuction, the amount of pain experienced depends on the type of anesthesia used for liposuction. Soreness is usually the most intense 2 to 4 days after liposuction and then decreases steadily. The tenderness and soreness typically is quite bothersome for up to 4 weeks, but gradually subsides over the following next 4 to 8 weeks. How does Liposuction Affect the Appearance of the Skin? Does Liposuction Produce Visible Scars? The appearance of skin after liposuction depends on the skin’s elasticity. Skin with good elasticity should look smooth and natural after liposuction. Scars are not a common problem with modern liposuction which uses very small cannulas (microcannulas) and thus only very small incision are required. Is Liposuction a Reasonable Treatment for Obesity? Liposuction is not a good treatment of obesity. Liposuction is not effective, even as a last resort, for people who are unable to lose weight by dieting and exercise. Is it Normal to be Anxious Before having Liposuction Surgery? Yes. Almost everyone has some degree of anxiety before having a surgical procedure, including liposuction. Some people have more anxiety than others. How does Abdominal Liposuction Differ from a “Tummy Tuck”? A tummy tuck (abdominoplasty) is a major surgical procedure requiring general anesthesia, and involves liposuction and excision to remove fat, plus a large excision of skin. In many patients (but not all) liposuction of the abdomen can often provide equivalent or better results than a tummy tuck. Because liposuction is safer and causes less scarring compared to tummy tucks, abdominal liposuction is now far more common than are tummy tucks.